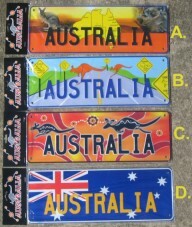 Vehicle license plates are available in four Australian designs. They are full size proper car license plates made of aluminum. 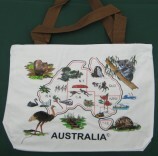 Australian flags are printed on polyester fabric, double stitched edges, rope fittings - two brass rings.